Pedro was born in Valencia in October 1965. He received the Licenciado degree, and the M.S. and the Ph.D. degrees in Theoretical Physics from the Universitat de València (UV), Valencia, Spain in 1988, 1990, and 1992, respectively. He also received the Ph.D. degree in Mathematics from the Universidad Politécnica de Valencia(UPV), Valencia, Spain, in 1997. 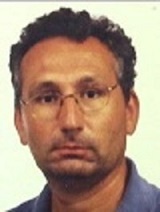 His research work was performed at UV, UPV, the Joint Institute for Nuclear Research (Russia), the University of Tübingen (Germany) and the Istituto Nazionale di Fisica Nucleare (INFN) in Torino (Italy). He is currently Professor in the Departamento de Matemática Aplicada at UPV. Pedro received the distinction of Profesor Invitado (invited professor) at Universidad de Pinar del Río (Cuba) on December, 2002. At the regular meeting of the Colombian Academy of Exact, Physical and Natural Sciences of June 15, 2011, it was approved his designation as a corresponding member. Furthermore, since its establishment on September 30, 2011, he has been a member of the Board of the math-in network (www.math-in.net). Likewise, on October 25, 2012, he received the title of Doctor Honoris Causa from University of Pinar del Rio (Cuba) and on October 17, 2015, he was named an elected fellow of the "Académie Nationale des Sciences, Arts et Lettres du Bénin". Moreover, in Summer 2017, he was awarded the distinction of Profesor Visitante "Ad Honorem" of Universidad del Magdalena (Colombia). PhD in physics. Postdoctoral researcher at Brandeis University (Boston, USA,1995/97), University of Padova (Italy, 1997/2001), Oxford University (UK,2001/2002). Scientific guest at Max-Planck-Institut fuer Gravitationsphysik (Postdam, Germany, 2004, 2005, 2006, 2007, 2008). 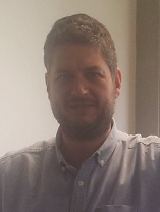 Professor at Universidad Politécnica de Valencia since 2005. Intertech member since 2006. Over 80 published scientific articles in mathematical physics, all in leading peer-reviewed international journals. 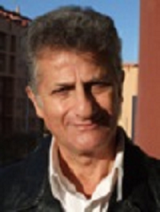 Research interests: mathematical physics, theoretical physics. 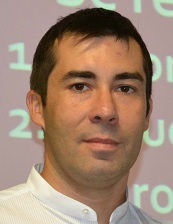 Sergio Hoyas is Associate Professor of Aerospace Engineering of the Universitad Politécnica de Valencia and Lecturer in Mathematics of the Florida State University. 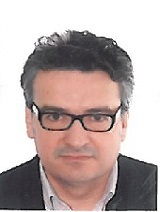 He is vice-dean of Business chairs in the ETSI del Diseño. He get his degree in mathematics in 1999 and his PhD in 2003, both from the Universidad Complutense de Madrid. He has been researcher or lecturer of the Universidad de Castilla-La Mancha, Universidad Politécnica de Madrid and Universidad de Valencia. 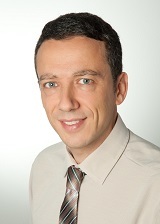 His main expertise is in the application of computer science tools, including supercomputation, to solve mathematical problems. He is expert in turbulent flows and fluid mechanics. In this discipline he published the second most cited paper of 2006 in the world. Apart from this, he has published several papers about Biology, Heat Transfer and Diesel Engines. María Jezabel was born in Valencia in June 1972. She received the Licenciado degree in Mathematics from the Universidad de Valencia (UV), Valencia, Spain in 1995. She also received the M.S. degree in Quantitative Economics from the Universidad de Alicante (UA), Alicante, Spain and the Institute of Mathematic Economics of Bielefeld (Germany), in 1997. She obtained the Ph.D. degree in Mathematics from the Universidad Politécnica de Valencia (UPV), Valencia, Spain, in 2003. Her research work in Partial Differential Equations was performed mainly at UPV. 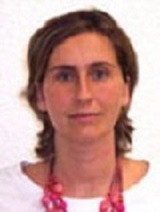 She is currently professor in the Departamento of Matemática Aplicada at UPV. Nowadays, his research interests include the area of numerical simulation of physical and engineering problems. Sergio was born in Mexico City, in 1949. He received the Licenciado en Física and M.Sc. at CINVESTAV del IPN, and the Ph.D. degrees in Solid state physics from the Universitat de Paris VII (Groupe de Physique des Sólids de la Ecole Normale Superieur) in 1974, 1976 and 1980, respectively. His professional affiliations have included Universidad Autónoma Metropolitana in México city in 1976 as Assistant Professor. He joines the CINVESTAV as Associate Professor in 1980. In 1996 he joined the Departament of Matemática Aplicada at the Universidad Politécnica de Valencia. He has developed his research in the area of Solid State Physics (Electrical Switching, Auger Effect, Ramman Effect and Radiation Interaction in solids) and in the area of Mathematics (Monte Carlo Simulation and Bessel Functions). Nowadays, his research interest includes the area of Electromagnetic Propagation in Optical Waveguides, Nematic Liquid Crystals and Deposition of ITO thin films prepared by sputtering. Juan Carlos received his physics PhD from the Higher Institute of Technologies and Applied Sciences in Habana, Cuba in 2007. From 2007 to 2009 he was a postdoctoral researcher at the Department of Chemical System Engineering, University of Tokyo. In the years 2011 and 2012, he worked on international cooperation projects for the Universitat Politècnica de València, Spain in relation to the University of Pinar del Río, Cuba. From 2013 to 2015, he was an assistant researcher at the Department of Chemistry, University of Basel, Switzerland. He is currently an associate researcher at the Department of Earth Sciences and Engineering, Imperial College London, UK. The major goal of his research focuses on the modeling of atomic-scale phenomena in molecular systems taking into account both the structure and dynamics. The aim is to explain experiments by providing insights into the subjacent mechanisms on the atomic scale. The close interaction between experiments and computer simulations is the procedure followed to make real progress in the understanding the many-body dynamics and energy confinement and relaxation processes. In this respect, the multidimensional nature of dynamics and the accurate accounting for the interactions between the atoms and molecules are fundamental issues. In this intend, molecular dynamics models, ab initio energies and different methods for representing potential energy surfaces are commonly integrated. Among the systems and phenomena of interest are the reactive collisions of few-body systems, photo-induced processes in molecular solids, and more recently, transport phenomena models with applications to waxy oils. 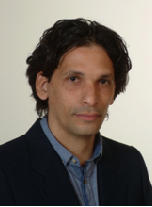 Daniel Cabrera received his PhD in Physics from Universidad de Valencia, in the area of nuclear and particle physics (Theoretical Physics). He has developed his career as a postdoctoral research associate in several institutions such as Cyclotron Institute - Texas A&M University (2005-07), Universidad Complutense de Madrid (2008-2012), and Frankfurt Institute for Advanced Studies (FIAS) - Goethe-Universität Frankfurt (2013-15). In 2016 he returned to Valencia, where he has recently participated in a research project at Instituto de Física Corpuscular (IFIC). Currently, he has joined Intertech as a visiting researcher of Instituto Universitario de Matemática Pura y Aplicada. 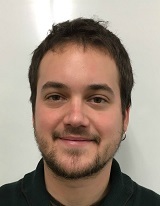 Since September 2017, he combines his research activity with his work as a Math and Physics teacher at Colegio CEU San Pablo Valencia. His expertise dwells in theoretical modelling of strong interactions within the energy scale of hadronic and nuclear physics, particularly meson meson and meson baryon interactions in hot and dense nuclear medium, such as atomic nuclei, nuclear matter created in heavy-ion collisions, and the core region of compact stellar objects (e.g., neutron stars). During his recent stay at FIAS he focused his work on the properties and interactions of hadrons with strange and heavy quark content in the hadronic phase of heavy-ion collisions, and their role as probes of the deconfined state of nuclear matter (Quark-Gluon Plasma). Nowadays, his research interests have drifted towards fundamental aspects of quantum mechanics as an emergent theory, as well as applied mathematics in engineering problems (mathematical modelling of heat transfer). Joan Vazquez’s academic interests include mathematical modelling, thermodynamics, theoretical physics and philosophy of science. His industrial interests dwell in nuclear technology and energy engineering. 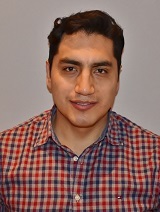 He is currently teaching mathematics at Universidad de Guayaquil (Ecuador) and collaborating with Energesis in the project Sustainable Campus at Universidad Politécnica Salesiana de Guayaquil. Previously, he obtained a PhD in Mathematics at Universitat Politècnica de València (UPV), where he studied formal similarities between thermodynamical and quantum mechanical theories, under the supervision of Prof. José María Isidro San Juan. He also obtained a double degree in Industrial Engineering from UPV and École Centrale Paris and a master’s in Mathematical Research from Universitat de València / UPV. Meanwhile, he taught mathematics at Florida State University, Valencia International Program. Andrés González was born in Azogues (Ecuador) in 1981. He received his bachelor degree in Electronic engineering in Universidad Politécnica Salesiana, Ecuador and his master in Industrial Electronic Systems from Universitat Politècnica de València (UPV), Spain. Also, he has participated as guest researcher different research centers in other universities in Ecuador, Germany, Spain, United States and South Ireland. Nowadays, Andrés is a PhD student in Mathematics at UPV. Since 2015 he is part of a german collaborative research project named "Mathematische Modellierung, Simulation und Optimierung am Beispiel von Gasnetzwerken" at the Technische Universität Berlin. His research interests include electric power systems modelling, simulation and stability analysis considering uncertainties. Miguel Iglesias was born in Pinar del Río Cuba in 1984. He obtained a degree in Telecommunications and Electronics Engineering from Universidad de Pinar del Río (UPR), in 2008. He obtained a Master's Degree in Digital Systems at the Higher Polytechnic Institute (CUJAE), La Habana, Cuba, in 2011. He has participated in 2 international postgraduate courses, sponsored by the Abdus Salam Foundation, and the International Center for Theoretical Physics ICTP, Italy, 2010 and 2012. 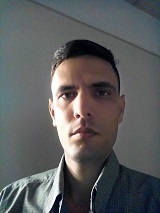 He has participated in 5 projects of national denomination, one as a member of the work team at the University of Pinar del Rio in 2006, three as head of the Development Center for Electronics and Automation, Cuba, 2009, 2010 and 2011, and, currently, one related to the design of supercapacitors at the Center for Energy Studies (UPR). He has obtained 4 scientific prizes from the Cuba Academy of Sciences in 2011, 2012, 2015 and 2017 respectively. Nowadays, Miguel Iglesias is doing his PhD in Mathematics at Universitat Politècnica de València. His areas of research interest are Signal Processing, Noise Analysis and Blind Information Extraction, as well as the design of Digital Systems.